Enjoy one of the most spacious 3 bedroom 2 bathroom gated North Hills homes which is great for entertaining family and friends. The living room with a granite fireplace is open to the den, kitchen and dining room. 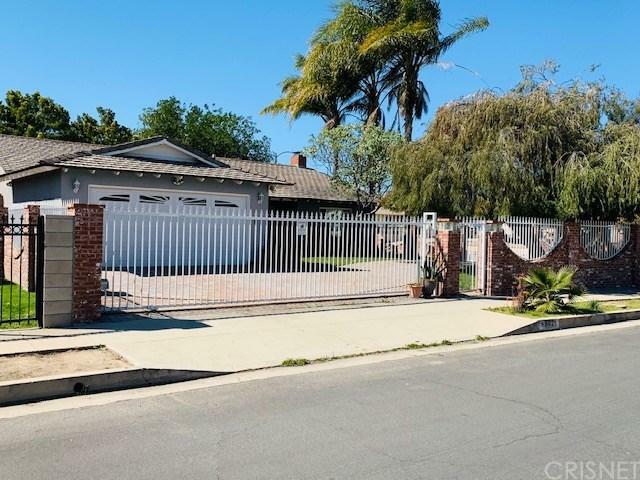 This corner lot has security gates on both pavered driveway access points creating a grand entrance. The kitchen has gorgeous black granite countertops. The master bedroom has an an updated master bathroom. The hallway bathroom is also updated. Your family will enjoy the screened in sun room leading to the backyard where you will find an above ground relaxing jacuzzi. Buyer to check patio sun room which may not have LA city permits.